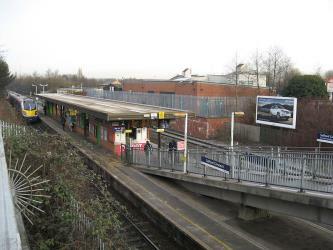 What is the cheapest way to get from Clitheroe to Southport? The cheapest way to get from Clitheroe to Southport is to drive which costs £6 - £9 and takes 50m. 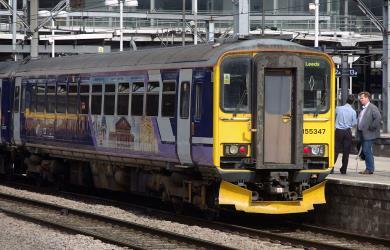 What is the fastest way to get from Clitheroe to Southport? The quickest way to get from Clitheroe to Southport is to taxi which costs £100 - £130 and takes 50m. Is there a direct train between Clitheroe and Southport? No, there is no direct train from Clitheroe to Southport. 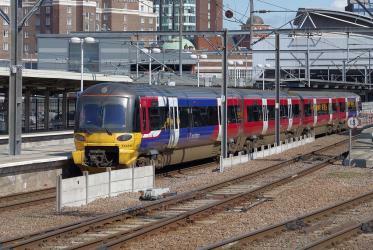 However, there are services departing from Clitheroe and arriving at Southport via Salford Crescent. The journey, including transfers, takes approximately 2h 30m. How far is it from Clitheroe to Southport? The distance between Clitheroe and Southport is 29 miles. The road distance is 37.3 miles. How do I travel from Clitheroe to Southport without a car? The best way to get from Clitheroe to Southport without a car is to train via Manchester which takes 2h 30m and costs £16 - £26. How long does it take to get from Clitheroe to Southport? 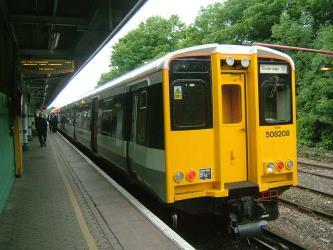 It takes approximately 2h 30m to get from Clitheroe to Southport, including transfers. Where do I catch the Clitheroe to Southport train from? Clitheroe to Southport train services, operated by Northern Rail, depart from Clitheroe station. Where does the Clitheroe to Southport train arrive? 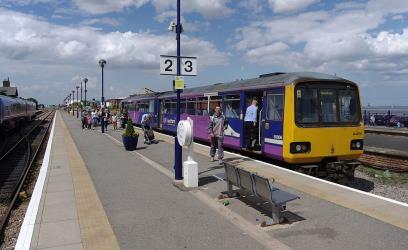 Clitheroe to Southport train services, operated by Northern Rail, arrive at Southport station. Can I drive from Clitheroe to Southport? Yes, the driving distance between Clitheroe to Southport is 37 miles. It takes approximately 50m to drive from Clitheroe to Southport. How do I get a train ticket from Clitheroe to Southport? 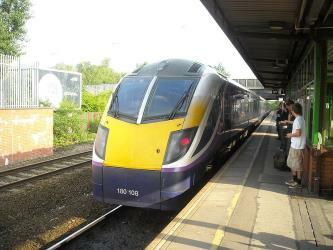 Book your Clitheroe to Southport train tickets online with Rome2rio. What companies run services between Clitheroe, England and Southport, England? You can take a train from Clitheroe to Southport via Salford Crescent in around 2h 30m. Where can I stay near Southport? There are 1037+ hotels available in Southport. Prices start at £30 per night. Southport Pier is a Grade II listed pleasure pier located in Southport, Merseyside, England. First opened in August 1860, it is the oldest iron pier in the country and spans a length of 1108 m, making it the second-longest in Great Britain after Southend Pier. Although at one stage reaching out 4380 ft, a succession of storms and fires during the late 19th and early 20th century have reduced its length to that of the present day. Hesketh Park is a public park situated near the north end of Lord Street in the Victorian seaside town of Southport, Merseyside, England. It was designed as a public park in the mid-19th century by Edward Kemp, and was further developed in the 20th century. The land was donated by the Rev Charles Hesketh and has many Victorian features and landscape designs. Rome2rio makes travelling from Clitheroe to Southport easy. Rome2rio is a door-to-door travel information and booking engine, helping you get to and from any location in the world. 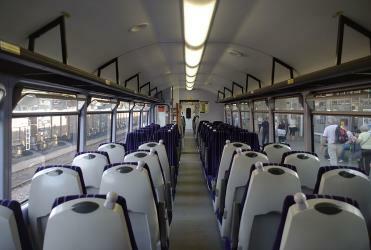 Find all the transport options for your trip from Clitheroe to Southport right here. Rome2rio displays up to date schedules, route maps, journey times and estimated fares from relevant transport operators, ensuring you can make an informed decision about which option will suit you best. Rome2rio also offers online bookings for selected operators, making reservations easy and straightforward.